Christmas is busy for us here at the store and for very good reason. 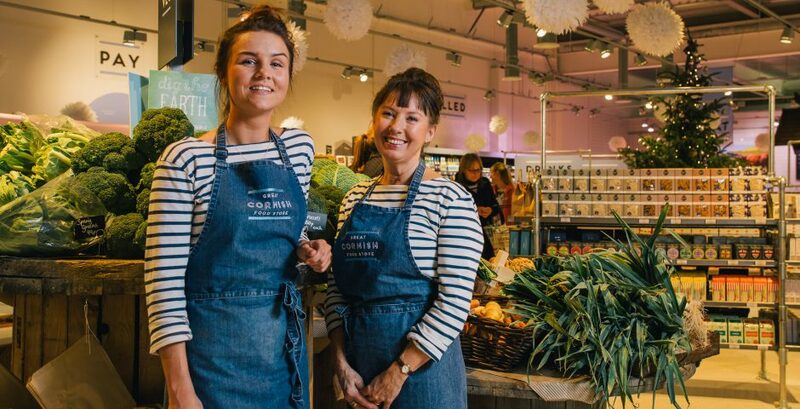 The widest range of fresh, local produce you’ll find under one roof, shelves groaning with a comprehensive selection of drinks, everyday and speciality lines to please all the family, and a carefully selected range of homewares, gifts and cards. All this, in beautiful surroundings with a helpful crew who want to go the extra mile for you. It’s THE place to get a complete Cornish Christmas – all your groceries and all your gifts in one place. Little wonder then that people make a point of paying us a visit at this time of year. We’ve long felt that making local produce the focus of seasonal celebrations is a no-brainer. But to give more people a flavour of just how good that choice can be, we’re hosting a special Great Cornish Christmas PREVIEW on Thursday 22nd November. From 2pm to 8pm, the store will be filled with local producers offering tastings and demonstrations – the chance to try a special item before taking the plunge and buying it, or to find inspiration. To get everyone well and truly in the mood, there will even be an opportunity to try the free range turkey the store sources from the Banbury family on the north Cornwall coast, or to pick up a living Cornish-grown Christmas tree. Needless to say, we’ll be taking orders on the day/evening and our team of experts will be on hand to help with any choices. For that day only, the store’s licensed café will also be staying open into the evening for anyone dropping by with friends or family during the day or after work, with a special two course £10 menu available from midday until last orders at 7pm. We’re not taking bookings for lunch but do book for the late afternoon and evening. Call us on 01872 306060. For Park and Ride users, there is a bus stop right outside the store’s entrance at Tregurra Park and anyone travelling into Truro from the west can hop across town on a bus from the Langarth Park and Ride.